The affections and bonding during childhood always has a profound effect throughout the life. More so if there is no one else to lean on to. ‘My Last Love Story’ explores this friendship, bonding and love—between not two but—by three people, who are totally, irrevocably in love with each other. Falguni Kothari dares to tread on a relationship which the society (read readers; me included) might have frowned upon, especially when a girl is involved with two boys. But the author has done a skillful job of giving that love or adoration a respectability, which if not handled properly might have become vulgar or tasteless. Hats off! Nirvaan’s dying wish is to have a baby, but his wife Simeen who is battling with the memories of her past and now the reality of his illness, is reluctant to shoulder the responsibility. In addition to this complication Nirvaan has called their childhood buddy Zayaan to come and live with them. Nirvaan knows as the cancer will progress, Simeen will need someone who can give unconditional support. The three best buddies have shared a tumultuous past and are reluctant to clear the air. Both men know there is some problem with Simeen, and like gentlemen they wait for her to open the subject. But will Simeen find the courage to reveal the truth? 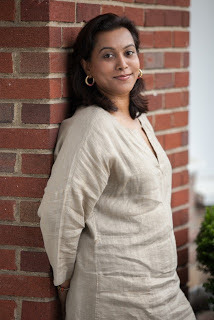 Ms Kothari has wonderfully woven the complexities and dilemmas in their lives. The characterization of all three protagonist is near perfect with all their quirks and regionalism, for Nirvaan is a Gujju, Simeen a Parsi and Zayaan a Muslim. The author has integrated the narration of past (back story and flashbacks) and present seamlessly. I simply loved the flawless flow of words. 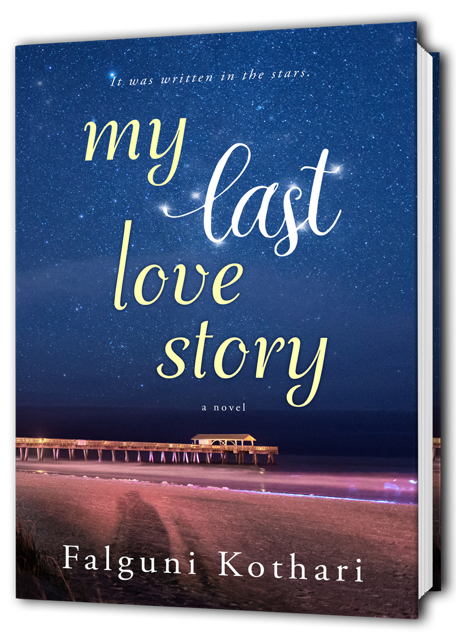 ‘My Last Love Story’ keeps you guessing, makes you empathize with the protagonists, leaving you totally invested in the tale. However do not expect everything to end happily-ever-after. Depicting the harsh realities of life, it will surely make one emotional. Highly recommended for all literary romance fans. ntiseptic wipes, baby wipes, and paper towels until the tissues came away stain-free. I didn’t feel light-headed. I didn’t allow myself to freak. I concentrated on the flow of my breaths and the pounding of my heart until they both slowed to normal.